Top Quality Canvas - 10oz double brushed canvas kata Gi, elastic waist. Lined with mesh at all stress points, fantastic lightweigth canvas uniform. 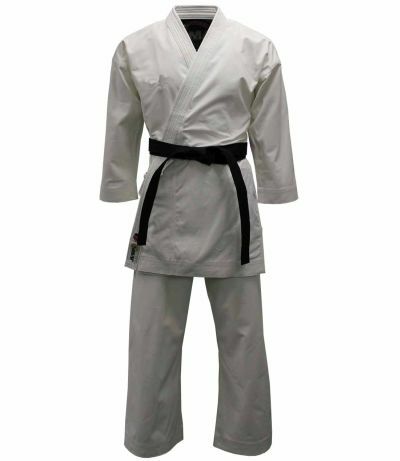 No logos on chest for those who do not want logos on the front of top so this is not a WKF approved uniform . 100% cotton.